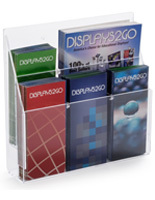 A Magazine Rack is In Stock Today for Quick Shipping! 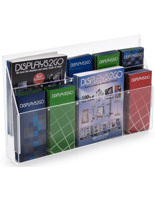 Only from MagazineRackShop.com! 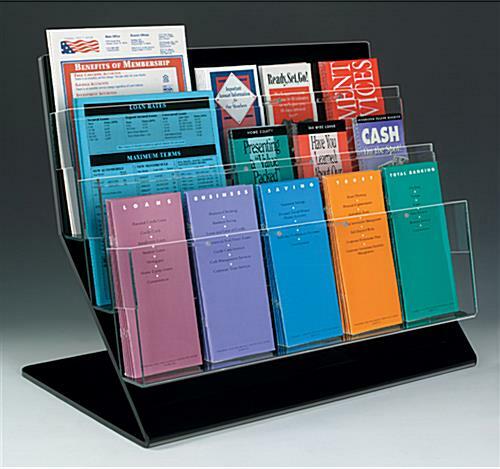 This magazine rack is a top seller !! 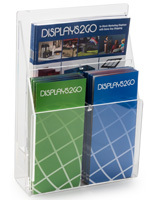 This great countertop display, magazine rack allows you to display your company's literature in a organized fashion while at the same time using little space. 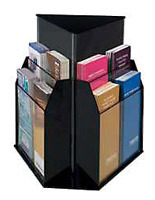 A magazine rack has three tiers of adjustable pockets mounted on a glossy black acrylic base. 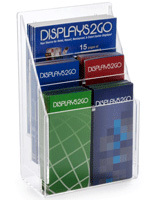 Pockets are easily configured for either 4-1/8" or 8-1/2" literature.